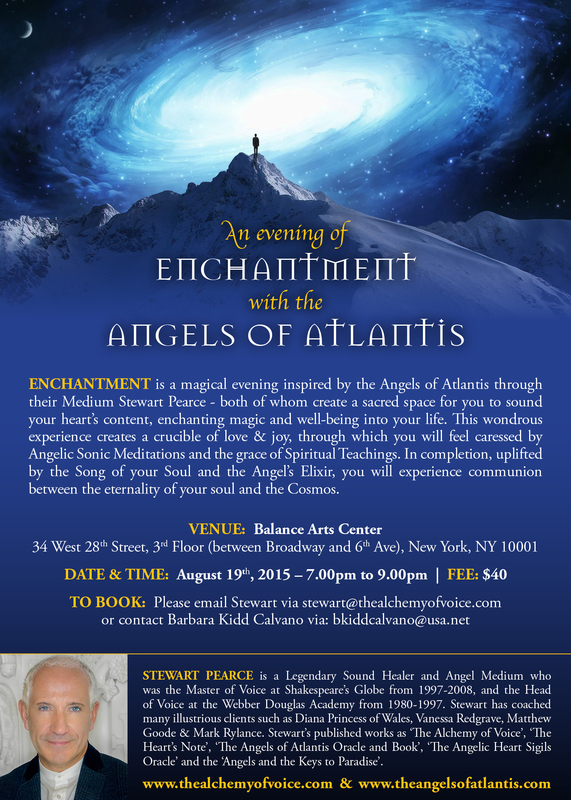 July 29, 2015 July 29, 2015 bcalvanocoachingLeave a Comment on Weekly Angel Card Reading for July 27th through August 2nd. Weekly Angel Card Reading for July 27th through August 2nd. Stay tuned for my next show on BlogTalk Radio http://www.blogtalkradio.com/letsasktheangels Follow me there to receive the latest updates. This week I was guided to use the Angel Heart Sigils (Mystical Symbols from the Angels of Atlantis) by Stewart Pearce. I was guided to draw one card. The message is ‘Adoration’ from Archangel Metatron. Metatron’s message is that we need to presence adoration in our lives, with ourselves, others and with our connection to Source. Do you have deep respect and love for yourself today? Are you connected to your Source, Higher Power or God and allowing him or her to shower you with pure light, love and showering blessings? Can you allow yourself to be adored by the angels? Can you connect with the feeling of adoration for yourself and another? For many of us, this may be difficult. This week let go of that one thing, that thought pattern that is in your way blocking your ability to receive and experience this incredible feeling … adoration…love and respect. Can you know yourself as a true shining star? A magnificent radiant pure diamond white light of love? I say you can! Metatron is telling us to connect more deeply to the Divine to receive this, connecting us to the deepest love and homage the Divine has for us. Here is a topic that may be uncomfortable for some. How powerfully do you allow yourself to experience the unlimited love and respect that God and the Universe has for you? Do you allow yourself to know yourself as a Divine being, a magnificent child of God. 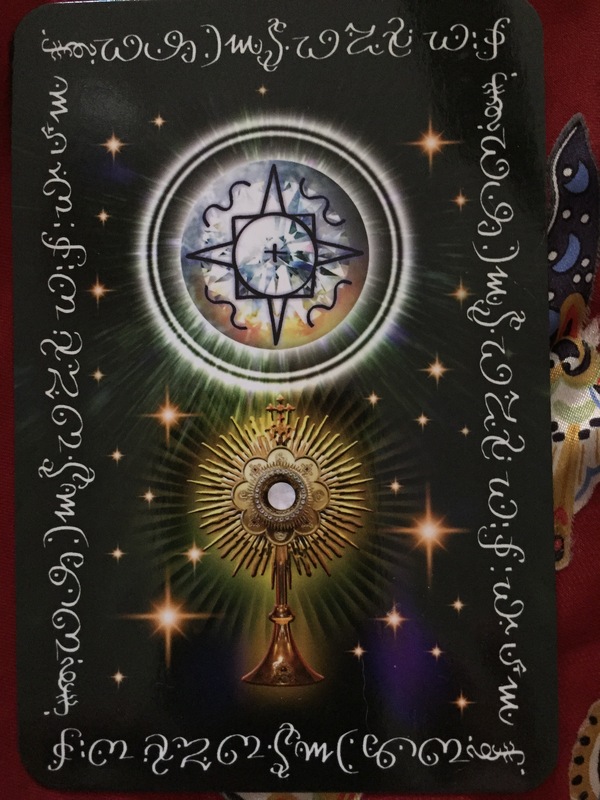 On the card you see a Monstrance of the Christian faith, it holds the blessed ‘host’ that signifies the body of Christ used during prayer services. Take on that this sacred vessel is you and the that the host is the seat of your soul, your heart radiating outwards pure diamond white light. Take a moment and see if you need to increase this flow of the Christ light or Source energy through you. Adoration is a state of grace which we all can use more of. You can increase this if you can chant Hee through the crown chakra or Sahasrara to connect to the beauty of the adored while feeling the Metatron Heart Sigil (the round sign) connecting you its power. Ask Metatron to assist you this week with increasing the magical feeling of adoration in your life! Breathe it in! Note: My regular Saturday radio show is often rescheduled due to my Saturdays now being filled with my in person angel card reading sessions. Follow me here by email or at my show on Blogtalk to receive the lasted updates on new shows being aired! Thank you! Previous Weekend Update! Sunday July 26th in NYC! Next Weekly Angel Oracle Card Reading for August 3rd through the 9th.